Anant Chandran held a senior position in a technology outsourcing start-up. When the company went in for public listing, he was among the select few team members who were offered the option to buy shares under its Employee Stock Option Plan (ESOP). As part of the plan, Anant was eligible to buy his company’s shares at a pre-defined price one year later. Simply having access to ESOP shares does not attract taxes. However, if, and when an employee decides to buy/exercise and sell those shares, there is an income tax involved. According to the amended provisions of Sections 17 (2) (vi) and 49 (2AA) of the Income Tax Act of India, shares bought as part of an ESOP can attract taxes twice – on purchase and on sale – depending on various factors. The Exercise Price (EP) at which you purchase the shares is lesser than their Fair Market Value (FMV) on the allotment date. Since you pay a lower purchase price, the difference between the FMV and the EP is considered as an income and therefore, is taxable. The percentage of tax applicable would correspond to your income tax slab. 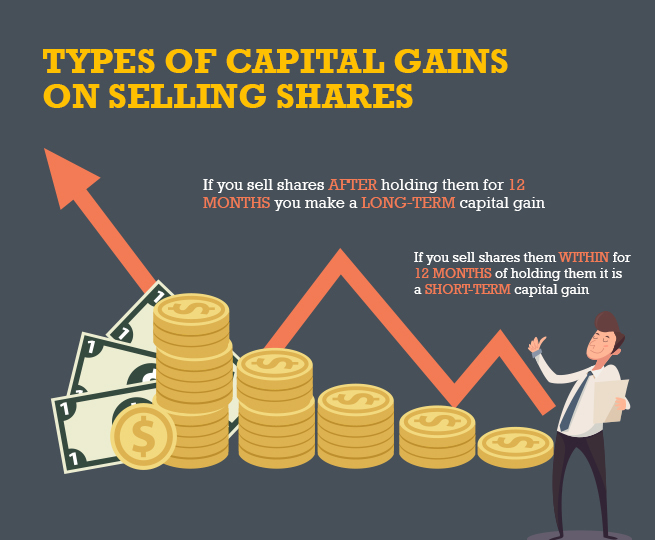 If you sell the shares and earn a profit, you make a capital gain. This profit or gain is the difference between SP and FMV on the date of your purchase/exercise. The tax on this capital gain is calculated based on two things – country in which your company is listed, and the period for which you held them. If the selling price is lower than the Fair Market Value on the date of the exercise, you incur a capital loss. This capital loss can be carried forward to another assessment year when you can adjust them against any capital gains you incur. 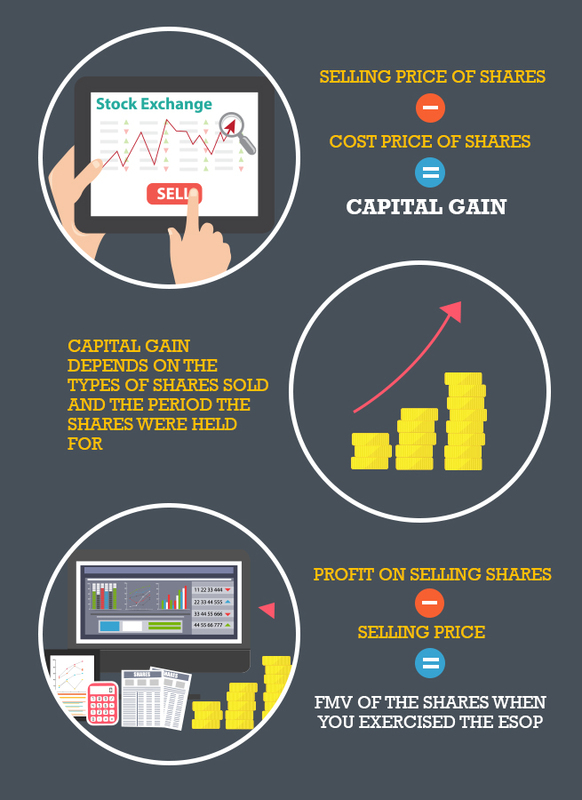 If you sell the shares after holding them for 12 months, you would make a Long-Term Capital Gain (LTCG). As per the current tax regulations in India, LTCG invites no tax. However, if you sell your shares within 12 months of buying them, the profit would be classified as Short-Term Capital Gain (STCG) and would invite 15% tax. If your shares belong to a company that is not listed in India, you become liable to pay tax irrespective of the period for which you hold them. In case you have held them for more than three years, the tax rate is 20%. However, if you have held the shares for a shorter tenure, it would depend on your regular income tax bracket. For Anant, understanding these tax implications helped him make an informed decision about investing in shares under his company’s ESOP. Since his company was listed in India and because he sold the shares a year after exercising them, his income from the shares did not attract any tax. It is therefore important to know the various details about the shares being offered to you as part of your company’s ESOP. It empowers you to make a smart decision about the ideal time to sell your shares in order to attract the least possible tax on income from the same.